Foreclosure is often regarded as a legal procedure that comes into picture during the event of non-payment of borrowed home loans. During this, lender attains the authority over the values of a borrower’s property, placed under the security interest to attain a loan, and uses it to repay the skipped loan installments, interests and the cost of foreclosures. This can take place with or without any legal involvement if not mentioned in the contract. Therefore it becomes very important to proceed under the assistance of a foreclosure lawyer before signing the promissory notes and the contracts related to the property. Along with the concerns related to foreclosure, principles levied under the foreclosure law can also be extended to check the breach in the promissory notes any kind of loan modifications and lender litigations without your interest and these issues can be filed. 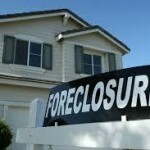 To attain assistance over all these issues a foreclosure attorney can be approached. Simply fill up the form to attain suggestions from the expert foreclosure defense attorneys by providing the details about the fraudulent activity involved or to seek the expert assistance over several lender litigations involved in the loan modification issues to protect you from any kind of atrocious activity.